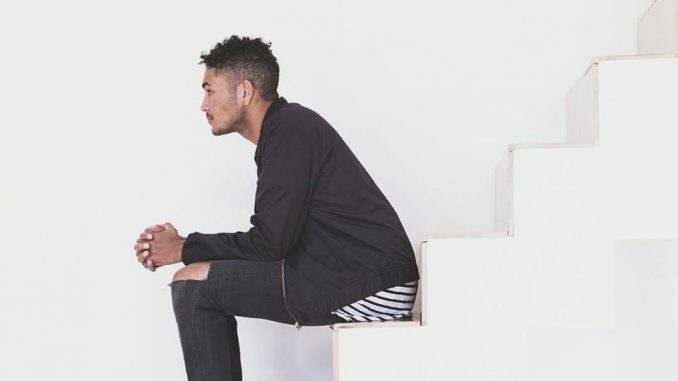 Bryce Vine, born Bryce Ross-Johnson in 1988 in New York City, is an emerging rapper and singer currently based in Los Angeles. With over 300,000 monthly listeners on Spotify and more than 1.8 million views for his music video “Sour Patch Kids” on his YouTube channel, Vine has proved himself as a force to be reckoned with in the world of rap. Vine will be appearing next Wednesday night on campus as the opener to Natalie La Rose for Albion College’s Big Show. Vine, who moved with his mother to LA at only one year old, grew up often visiting the set of his mother’s soap opera job (she starred as Eve Russell on the NBC soap opera Passions from 1999 to 2008). Bryce soon developed a love for music and performing. With an actress mother, it’s easy to see why Vine would want to follow in those footsteps. In 2011 Vine made a brief appearance on Oxygen’s show The Glee Project. Although Vine was eliminated, he didn’t let that get him down. In 2014 Vine released his first EP, Lazy Fair (potentially inspired by the name of his mother’s party boat, Laissez-Faire) to critical acclaim. The EP featured songs like “Guilty Pleasure” and “Take Me Home”. One of the songs on the album, “Where The Wild Things Are,” was actually chosen as the theme song for the 2013 X Games. Just two years later in 2016, Vine released his second EP, titled “Night Circus.” After the release of his two EP’s Vine is reportedly at work for his currently-untitled debut album. Music critics are generally extremely positive when it comes Vine’s music, calling it a “refreshing change” for hip-hop, with sunny beats and catchy lyrics. To see Vine live in action, make sure to pick up your student tickets for Big Show in the CPO office on the third floor of the KC. Emily is a senior student from Lake Orion, Michigan, majoring in English and Spanish. She is also the current Editor-In-Chief of The Pleiad. She loves the smell of old books, practicing yoga, and feminism. If there was a universe where green beans didn't exist, she would want to live in that universe. She is also a member of the Kappa Alpha Theta sorority. Follow her on twitter @emilyelizamillz or on her personal blog.